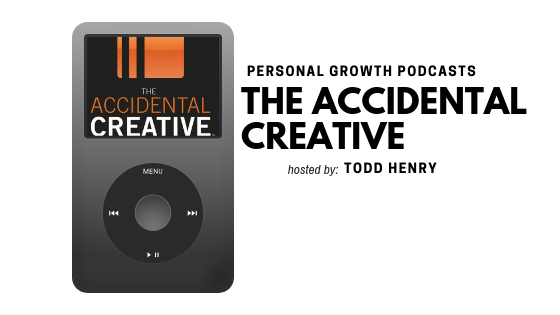 Podcasts are a simple way to take in both education and inspiration while on the go. Whether you have a long commute to work or need something to keep you entertained on the treadmill, a podcast is a great way to kill time. Almost all podcasts are free and they are hosted on a slew of platforms. They have also become a leading form of marketing for businesses in various industries. Simply put, there is a podcast for everything so no matter what your interests are, there is something for you. With this in mind, we have created this here podcast series on the blog where we share our top podcast recommendations with you! Here on the blog, the ADMIN team has shared a slew of podcasts. 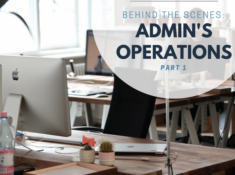 From general business advice to enhancing productivity, we have covered a lot of topics related to work. Today’s list steps outside of that framework for a moment and considers personal growth. 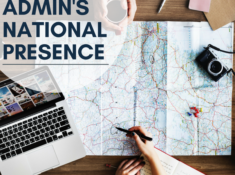 Here at ADMIN Partners, we believe that building up your personal development leads to even more advancement in your performance at work. Did you know that parenting skills can bleed into your leadership performance in the office? You do now and there are so many other ways that developing yourself personally can positively influence your habits and behaviors at work. 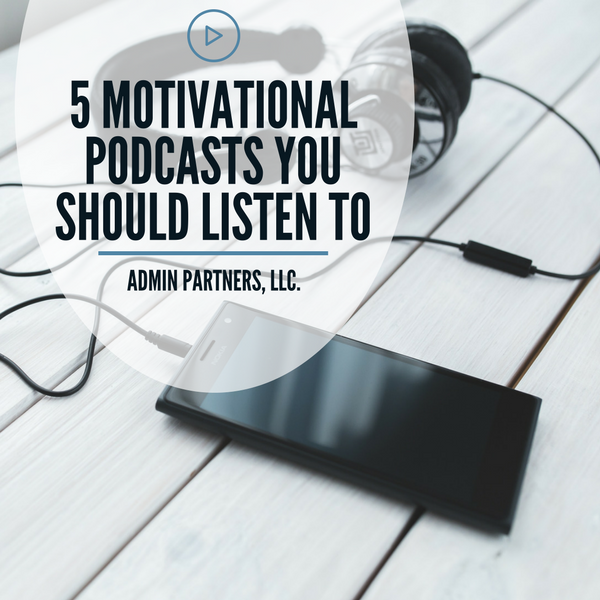 With that being said here are five of our favorite podcasts dedicated to personal growth podcasts that we know you will love! If NPR looks familiar it is because we have featured other podcasts hosted by the channel on our site before. Turns out – they make a lot of good podcasts. This is definitely the case with Hidden Brain, a podcast, that dives into the ‘why’ of humans. Why do religions exist? Why do people love a surprise ending? Hidden Brain uses both science and psychology to dive deep into the questions surrounding our complex society. This podcast is one that makes you think, but it also taps into human curiosity. 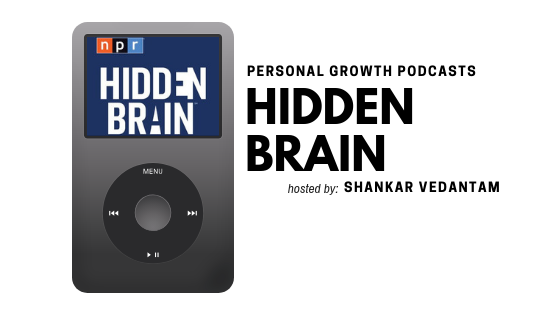 Without even realizing, the things you learn in this podcast may greatly impact your thoughts and actions both at work and in life. Is there anyone more in tune with personal growth than Oprah? We think not! 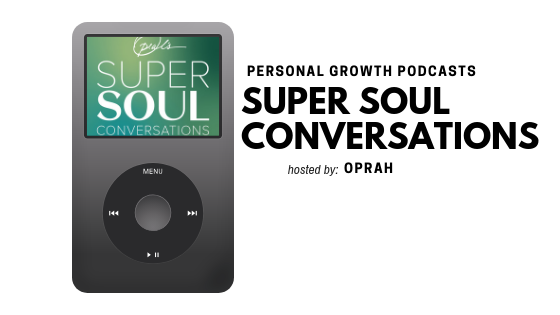 Contrary to its name, Super Soul Conversations is not focused on religion. 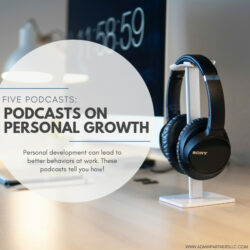 Instead, the podcast has been helping people find growth within their own potential for years. With each episode, Oprah pushes you to look deeper into the world around you. She does this by sharing the stories of some of the most influential people in the world. 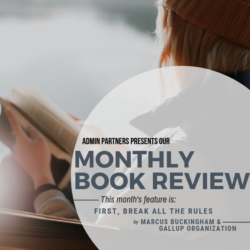 You can find an impressive list of celebrities, authors and even life coaches sharing insights on how to be your best self. From discussions on parenting to wisdom on shifting the momentum in your career, there is something for everyone! If you believe that your interaction with others greatly impacts your overall growth as a person, then we have the podcast for you! 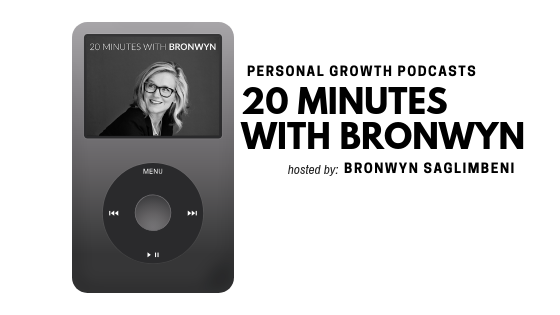 Bronwyn Saglimbeni, a communication coach, has been helping entrepreneurs and leaders improve their communication and bad habits for years. You know all those amazing TEDTalks we share? This woman is a major influence on them! She has supported over 120 presenters for TEDTalks around the World and assists high-profile clients for interactions both on and off camera. We especially love her casual (and often hilarious) approach to podcasting which is quite refreshing in a pool of serious podcasts that can last over an hour. START WITH THIS EPISODE: Are you too much? It’s easy to get wrapped up in trick and gimmicks when it comes to self-improvement; therefore, we went on a hunt for a podcast that provided some practical advice on progressing in both work and life. This search ended with The Accidental Creative which gives realistic tools that people can use to empower themselves in any situation. 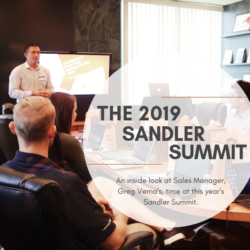 From finding your own voice to dealing with a bad boss, this podcast covers a slew of topics to help you in your development. 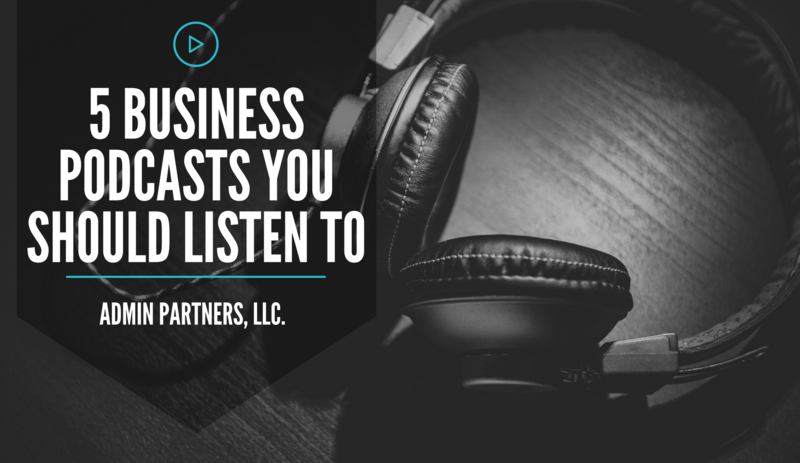 The podcast is also packed with interviews from leaders in business, authors, and even artists so, there are plenty of perspectives weighing in on each topic. Looking for a podcast that is both meaningful and kicks you into productivity mode? Look no further. Stumbling on The Knowledge Project was a lucky surprise for us. The show looks at many facets of education (ideas, lessons, and methods) to determine how people can best fulfill their goals in life and in the workplace. 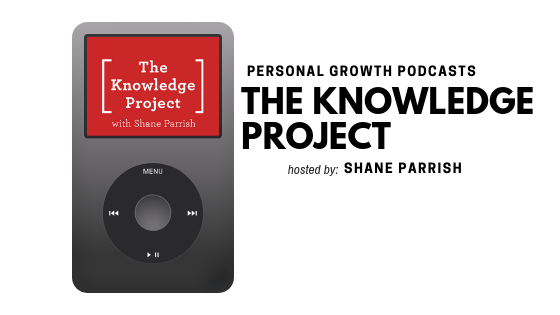 Host, Shane Parrish, has packed this podcast with interviews that cover everything from leadership to the downfalls of overthinking. Each episode is insightful as much as it is educational. Love this list? Check out our other podcast recommendations here!